Pawn shops are a nice place to get some extra money provided whatever you are selling is of some value. Speaking of what you want to sell, there are specific things pawn shops drool over, and there are things that may cause you to be thrown outside the store the moment you reveal them. It’s good to know what’s valuable and what isn’t. As a general rule, pawn shops will buy anything that is of value; anything. But just because it is of value, it doesn’t mean they will buy it. There are rules and these shops value their reputation and right to keep operating. They won’t buy anything that’s stolen or any valuable item that you can’t prove is actually yours. If there was one rule for you to follow when you intend to pawn something, it would be; make sure it’s valuable, authentic, and you have proof of ownership. With that one rule, you will be able to sell almost whatever you want at a pawn shop. Moreover, apart from jewelry, most pawn shops will only accept items that are in good working condition. Now, let’s have a look at some of the best items you can get some extra bucks for at a pawn shop in 2018. According to Chapes-JPL, jewelry is one of the things pawnshops can’t resist. The most valuable jewelry is that made of gold. Even a broken authentic golden necklace will be bought. Silver is the next material you may want to consider. It is valued right next to golden items. Other precious stones like diamond and gems are also valuable. Luxury watches like Rolex, Breitling, Cartier, Piaget, or Chanel will also get you some good money. In case the watch you have falls under any of the above brands, and it doesn’t look so good from your perspective, don’t attempt to service or refurbish it. You may not know this, but luxury watches of these brands are preferred just the way they are by pawn shops. There are collectors who collect these watches and they like them without any tampering. The natural wear and tear that they may go through in a way add to their aesthetic value. And even if the watch is not working, as long as it’s any of these brands, just sell it the way it is, but to a pawn shop that specializes in acquiring these watches. Such a pawn shop will have its own specialists and equipment to service these watches and bring them back to life. Other electronics that will fetch you some good cash are power tools. Things like power drills, saws, compressors, impact wrenches, and generator are valuable. But remember, they have to be in good working condition, and you must have proof of ownership. Also, the trick behind determining how valuable tools will be is their brand name. If you have something like DeWalt, Milwaukee, Bosch, Mac, KoBalt, Craftsman, or Snap-On, you should get some good money. Video game consoles like PlayStation, Xbox, and Nintendo Wii are also valuable; provided they are in good working condition and you have proof of ownership. If you suddenly realized that you don’t really need a gun for some reason, and it’s really yours, you can get rid of it in exchange for some green paper at a pawn shop. However, selling firearms is a bit tricky. Some pawn shops will accept them and others won’t. If you want to find out whether a pawn shop accepts firearms or not, don’t just show up from nowhere and pop up a gun. You will not like the reaction you’ll get. It’s best to first get the pawn shops contact details and find out whether they accept firearms or not. Or pay a visit to the pawn shop in person, without the firearm and inquire. If all goes well, you should successfully exchange the firearm for some good cash. Almost any firearm in good working condition should sell. 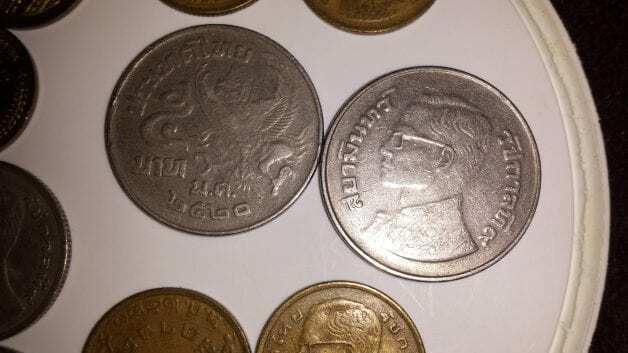 Not many people may be in possession of these considering the current times, but in case you happen to come across or you know somewhere you can get old currency and coins, chances are that you may get some good money for them at a pawnshop. If you can find something that’s a century old or older, the better. Of course, it has to be authentic. Like coins and currency, any item that’s so old that’s it’s rare to come across anything like it in this time and age is going to be considered valuable. If you have items from granny, or grandpa, or from your great-grandparents that are actually from their time, chances are that they are valuable items. I’m not promising, but just hinting that it couldn’t help to check whether they are worth something at a pawn shop. You can have them appraised and find out their true worth and see whether you’d like to exchange them for that kind of money. Also, if you have been collecting comic books, action figures, stamps, combs, or anything and you think you have a good collection of those items, you could find a good price for them at a pawnshop. There are other collectors out there and if you feel you have had your fair share of fun collecting the items of your obsession, the other collectors out there are willing to pay handsomely for the collection you have to add to their collection. If you feel you are at the place where you can part with your precious collection, a pawn shop could relieve you from it in exchange for some good easy money. If you have any of the above items, it’s only a matter of time before you have some spare cash in your pockets. On the off chance you were considering to pawn something and you didn’t know how much money it will get you, I hope something from this article has shed some light.